Jen Kramer is magic. She turns the impossible into the impossible-to-ignore, wowing audiences with her contagious smile and world-class sleight-of-hand. You’ll be amazed as Jen predicts what you’re thinking, makes a signed hundred-dollar bill magically appear inside a tube of lipstick and even creates a larger-than-life social media page on stage. 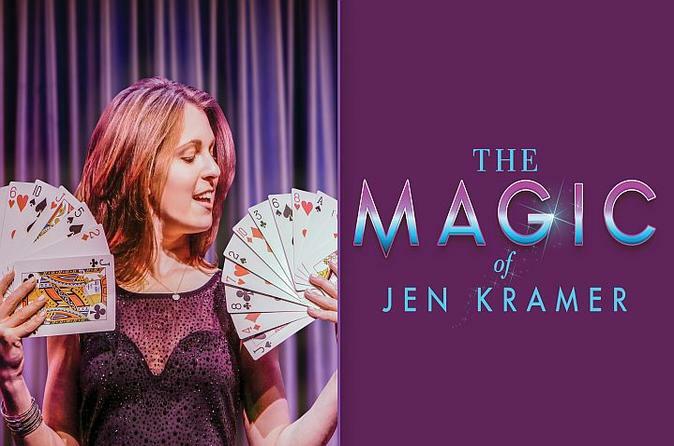 Come to the Box Office at the Westgate, on the left side of the casino floor next to Sid's Café, to get your tickets and then join us for the recently named “Female Magician of the Year” by the International Magicians Society at the Westgate Cabaret, Jen Kramer, playing Wednesdays through Saturdays at 6 PM. Jen graduated with honors in Theater from Yale University and has been featured on Penn & Teller: Fool Us and Masters of Illusion on The CW Television Network. This show is great for all ages. Lap children ages four and under require no ticket. Parking is free, and drinks are available in the Westgate Cabaret.